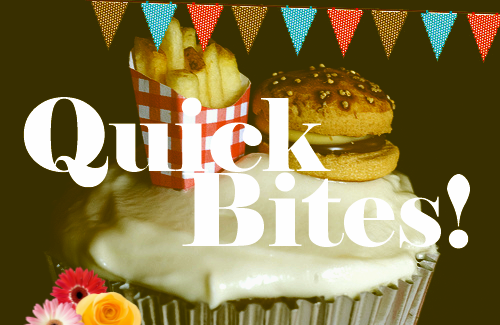 Here's another list: Quick Bites! Man, this was just so long ago. 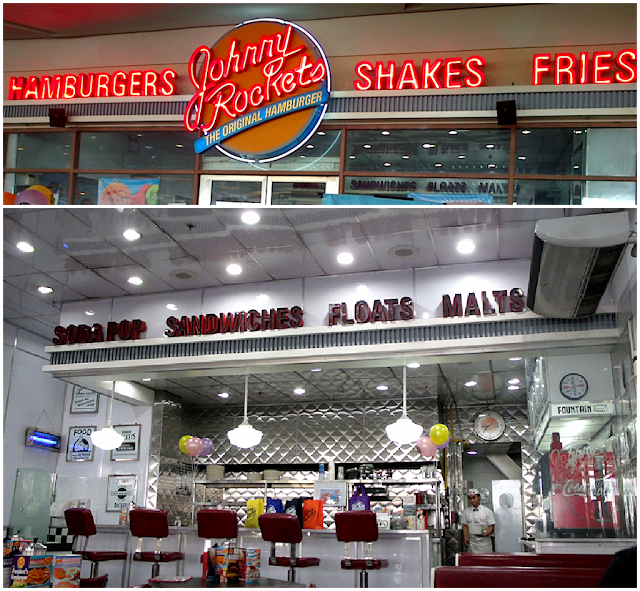 I went here with Fritzie for dinner on a Sunday night. Also, I love bacon. I had Spam Burger. We both had Vanilla milkshakes. 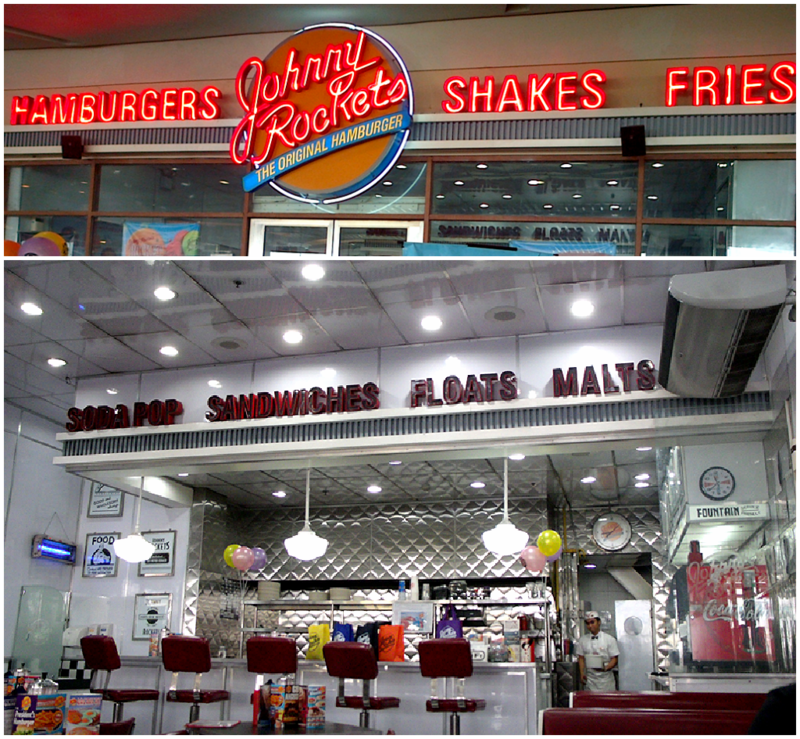 I forgot what burger he had. Unlimited fries! Hurrah! Sadly, we weren't able to go another round. We were so freaking full. The burgers look small in the photos I took but they are absolutely not. The boyfriend wasn't even able to finish his burger! Hahaha. I was on a dessert frenzy when we went there. I was so excited when I saw a food stall serving Deep Fried Snickers! It's actually not bad! I had the Snickers Almond underneath that fried batter! Yum yum! Thank you, Funnel Cakes! My friends from work mostly were UP graduates. 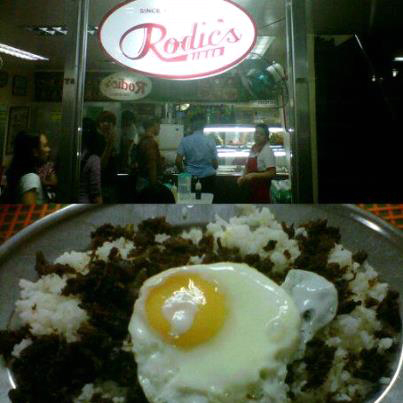 One morning, we just decided to eat at Rodic's and I, of course, was excited to try their famous tapsilog! I liked it! I felt like I was in college all over again in that brief moment! Haha! Hopefully, I can continue making this list. I actually had a weekly list here called "Things I Like Wednesdays" but it's been too long since I last did that. Hehe.